When a different direction with my P28 repower. Universal Atomic Four Marine Engine, 1950?, Running Takeout. OMC 3857650. VOLVO 3857650. OMC 988037. OMC 3855958. OMC 3854280. 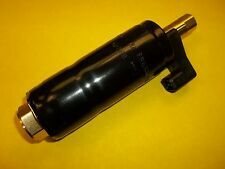 New Hi pressure Electric fuel pump for Volvo Penta/OMC used on many GM and Ford engines from 1994-2001. This is hi pressure fuel pump and will NOT work on carbureted engines. Universal Marine Westerbeke Points Set 262283. Fits Atomic 4. ITEM HAS BEEN USED AND IS IN GOOD CONDITION. Part # -37165 or 8143831. For many Universal diesel engines and Westerbeke engines and generators. Alarm Harness. Second Wind Sales. Universal 262278 Thermostat Kit for an Atomic 4. Part number 301221 (SS to 301940). Used with Atomic 4 engines. Stay Tuned for Marine Parts, Boats and Trailers, Collectibles, Plus More! Back to the Top. A Photo and or Photos are Shown to Provide You With a Visual of Said Item that You are to Receive. Many countries have strict size and weight limits. Distributor Points. For Universal Atomic 4. FITS: Universal model 5416 and model M-20. FIND THE BEST DEALS AT CARB NATION. Fits: Universal Marine Diesel Engine model M-20 and 5416. Universal Marine Diesel Engines: 5411,M-18, M3-20, M25 and M25XP. (OEM part # 299512). Part number 295623. Used with Atomic 4 engines. Stay Tuned for Marine Parts, Boats and Trailers, Collectibles, Plus More! Back to the Top. For many Universal diesel engines. We will not alter the sales price. Universal Marine Westerbeke Bolt 299388. West Marine Universal Fuel Line Kit 6ft x 3/8 in. Universal Marine Diesel engine model M-30 and 5424. UNIVERSAL DIESEL MARINE EXHAUST MANIFOLD M40?? Good condition, Fresh Water, bearings are smooth, Was in running order as of last year. Listed here is a new, good condition Westerbeke Technical Manual. Genuine Westerbeke Technical Manual. For use with 4 Cylinder Marine Gasoline Generator Sets TWG Series Electronic Manuals are great but when you need to work on your motor you need a real paper manual in front of you to reference. NEW UNIVERSAL OL FILTER PART# 299381. Genuine ZF Marine Parts. Manufacturer:Westerbeke, Universal Marine, ZF Marine. Tapered Roller Bearing Chase. For Marine Engines and Marine Generators. Second Wind Sales. versions 17; 18; 20; 21; 22. We Now Accept Credit Cards! Listed here is a new, good condition Westerbeke Operators Manual and Installation Guide. Genuine Westerbeke Operators Manual & Installation Guide. Electronic Manuals are great but when you need to work on your motor you need a real paper manual in front of you to reference. Listed here is a new, good condition Westerbeke Service Manual. Genuine Westerbeke Service Manual. For Marine Diesel Engines Electronic Manuals are great but when you need to work on your motor you need a real paper manual in front of you to reference. Part # - 299745. Genuine Westerbeke Parts. Hose - 1/4. Part # - 295623. Genuine Westerbeke Parts. For Universal atomic 4 engines. Inlet Valve. Second Wind Sales. 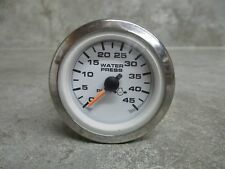 UNIVERSAL VOLT GAUGE. Item has been used and in good condition. Listed here is a new, good condition Westerbeke Technical Manual. Genuine Westerbeke Technical Manual. For Marine Diesel Engine L25. Electronic Manuals are great but when you need to work on your motor you need a real paper manual in front of you to reference. New Universal Marine 262197 Piston, 0.010". Universal Marine Westerbeke Rotor 262284. Fits Atomic 4.